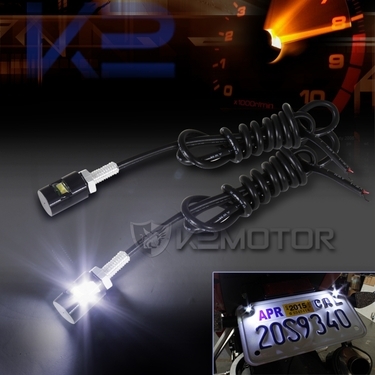 Comes with one pair of aluminum black housing stud style screw-on 3535-chip 6000K SMD LED license plate lights. Professional installation is high recommended, adhesive back are included for installation. You can't go wrong with a brand new and top quality 12V SMD LED License Plate Bolt-On Lights (2PC) available at the best deal! Brand New 12V SMD LED License Plate Bolt-On Lights (2PC). These Universal LED License Plate Lights are innovative addition to your automobile lighting. You can change the look of your car with a simple touch.